PROVENANCE: William Graham. Inherited by Viscount Hailsham. London, Sotheby’s, 1953. Sold to Agnew’s, London, who sold it to Countess Serristori, San Casciano. Sotheby’s sale catalogue, November 4, 1953, 6, lot 25, as by Santi di Tito. Gaston, 1988, 225, Pl. 29b, as attributed to Rosso. Franklin, 1994, 212, 290, n. 16, as almost certainly by Puligo. 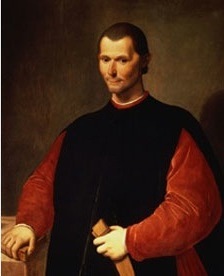 A photograph of this painting is found among the Rosso material in the library at I Tatti with the data given above, but without any annotation as to its authorship. A photograph of it is in the Witt Library under Rosso, from which the attribution to Rosso was known to Gaston. The picture has never been seriously published as Rosso’s and, as Franklin pointed out, it is not by him. From a photograph Sotheby’s attribution to Santi di Tito seems likely. It seems less likely to be by Puligo, but Franklin remarked that it is “demonstrably by Domenico Puligo,” qualifying this later to “almost certainly by” this artist.